This morning, at the literal crack of dawn, I was on my way to the airport, heavy headed, heavy eyed, running on 3 hours of sleep, but excited at the prospect of being in Tel Aviv in a few hours time. Long story short, things don't always work out exactly how we plan them and my family have pretty bad luck when it comes to flights. Needless to say, I'm still in dreary London but it'll be 'take two' tomorrow and hopefully I'll be bathing in hummus and falafel by Friday morning. Why am I telling you this, you ask? Well, I just thought I'd share what I treated to myself after pretty exhausting morning, to say the least. I genuinely feel jet-lagged and I haven't even been on a flight. So after the long ride back home from the idle airport, I climbed in to bed for little bit, attempted to watch one of Netflix's many awful movies, decided to get out of bed and organise my life a little, made a gluten free Sticky Toffee Pudding (recipe to follow shortly) and made myself the most comforting thing I could think of whilst still keeping in mind the bikini I'm supposed to be in on Friday, Crispy Curly Kale Fried Eggs (technically I'm supposed to be in it right now, actually but I'll let all of the missing flight drama go). This dish will forever make me think of my Uncle Ralph. Growing up, this Uncle was the coolest person my siblings and I knew (we didn't know a lot of people but he was/is still very cool) and the closest thing we knew to a genuine superhero, partly because he let us do whatever our parents did not. One of my best memories to this day, was when Uncle Ralph took us to Toys R Us and told us, "You can have whatever you can carry". Can you imagine being five and being granted a wish like that?! I think I remember picking a talking cookie monster doll and vaguely recall a lava lamp but I doubt I'd be able to carry a lava lamp at five years old. Either way, as you can imagine, it was a good night, ('night' was probably like 4pm in those days). So, this Summer, I got to make these Kale Eggs for Uncle Ralph and he seemed to like them a lot, or at least did a good job of acting like he did, but I was glad I could finally pay back my favourite superhero, making him breakfast was the least I could do! Eggs are one of the simplest things you can make, and can get pretty repetitive and boring sometimes, but these are eggs on another level, if I may say so myself, as well as being a pretty damn healthy breakfast, lunch or even dinner (if you're into that sort of thing). Did you know kale contains more iron than beef per calorie?! I have to admit that I actually didn't until I googled the nutrients of kale just now but that's just another reason to try this protein, iron and deliciousness packed recipe! If you're actually reading this and haven't just skipped to the pictures, like I admittedly occasionally do, I might ask you to please forgive me for the absolute randomness of the written content of this post as well as my lack of consistency of any topic in particular, however, when I'm running on zero sleep, I get a little loopy (and I guess random and inconsistent). Wash and dry the kale well. In small-medium pan melt the butter. When it's hot and is no longer foaming add the kale to the pan. Toss with a spatula until it starts to soften. (Don't worry if it seems like too much kale in the beginning as it will shrink). When the kale has reduced to 3/4 its size and is starting to crisp up, push it towards the middle of the pan. Crack the eggs into the pan, one by one, being careful not to break the yolk. 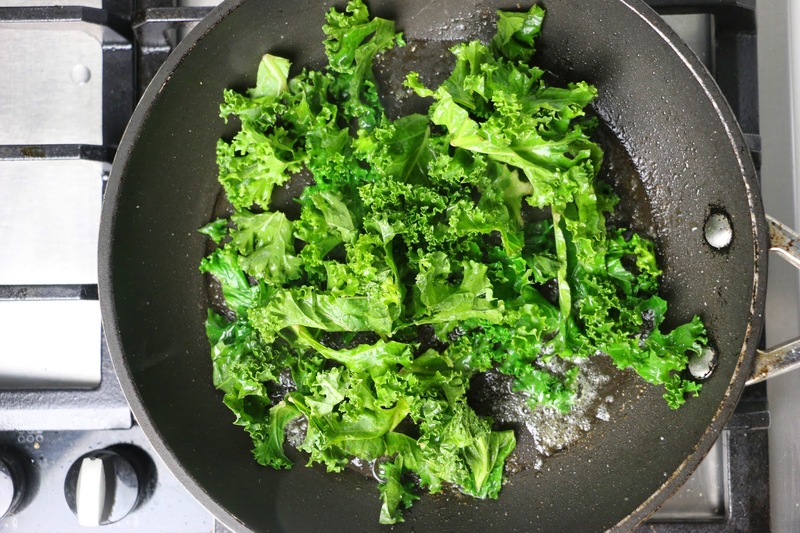 Try to spread the whites evenly over the kale with your spatula and by moving the pan around. Cover with the lid for around 20-30 seconds to let the white cook through, removing it before the yolk starts to cook. (Unless that's how you like it)! Squeeze the lemon juice around the pan, focusing mostly on the kale. 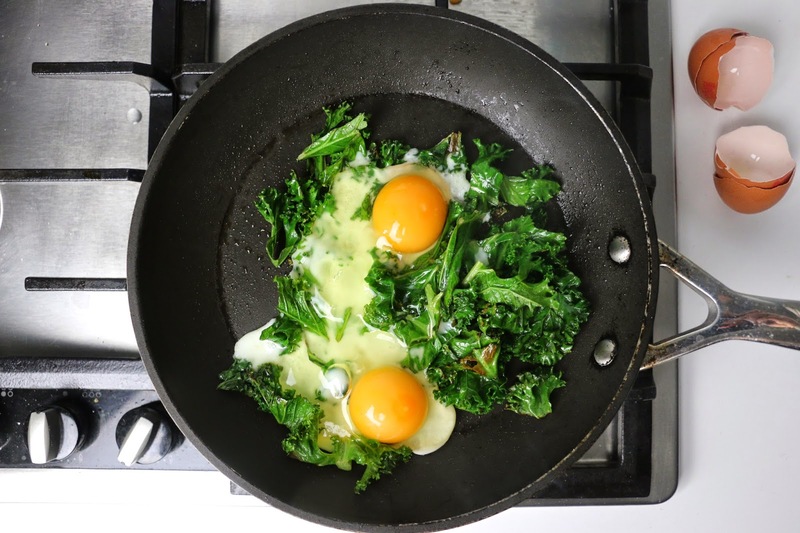 If you're feeling a little unruly add another teaspoon of butter for good measure, moving it around the kale and the eggs. Serve with a pinch of sea salt, black pepper and a few chilli flakes. That looks both delicious AND healthy, I will give it a go Emmanuel. And good luck getting to TA, I hate it when travel plans fail. 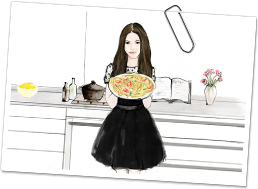 The idea to prepare eggs like that sounds very good to me;)) I have to try it! I LOVE your feedback, questions and even complaints... Shoot!